PATIENTS awaiting transfer from Gladstone with the Royal Flying Doctor Service (RFDS) will experience a greater level of care after the opening of a new facility at Gladstone Airport. 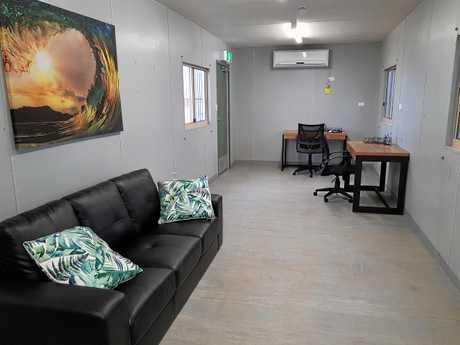 The permanent home for the service comprises an airport hangar donated by Gladstone Regional Council and a modified demountable donated by Bechtel from its Curtis Island LNG operations. Ambulances have also been allocated a permanent entrance gate to the tarmac and staff have been allocated dedicated parking spaces. 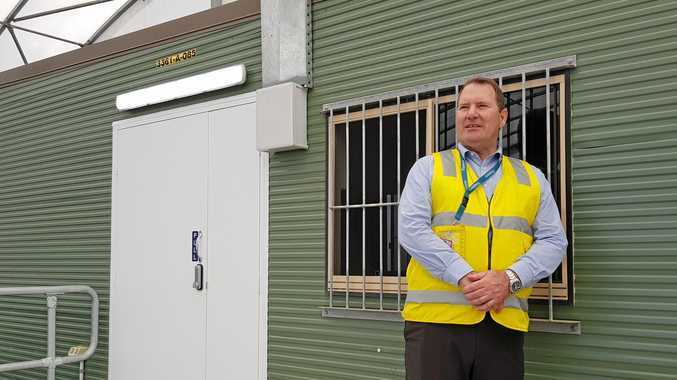 The new facility was opened yesterday by RFDS Queensland CEO Meredith Staib, Gladstone Airport chief executive Colin Fort and Gladstone Region mayor Matt Burnett. It came after Gladstone Regional Council received reports a pilot with the service had been spotted sleeping underneath an RFDS plane while waiting for a patient transfer. Cr Burnett said the council had moved quickly to donate the hangar facility after hearing about the situation. "Once we heard (about the pilot) we highlighted it to the boardroom and there was no hesitation amongst our councillors that we needed to get it done," he told The Observer. "We've got a really first-class airport, however the facilities for our RFDS were non-existent, so we're very pleased that's now been addressed." Mr Fort said it was well-known that Qantas and Alliance Airlines used the airport on a daily basis, but it was less well-known that the RFDS transferred about 400 patients out of the airport each year. "As you can imagine, these guys are operating all hours of the day and night, so what it's given them is a facility where they can sit down and wait for their next mission," he said. "They can get mission briefings, updates on the weather, but mainly... it's not the back of an ambulance or them sitting in the back of an aircraft." 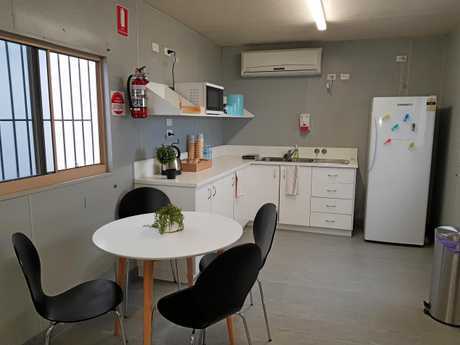 The 40-foot demountable building inside the hangar includes a lounge, kitchenette and office facilities - but Mr Fort stressed it was not all about comfort. 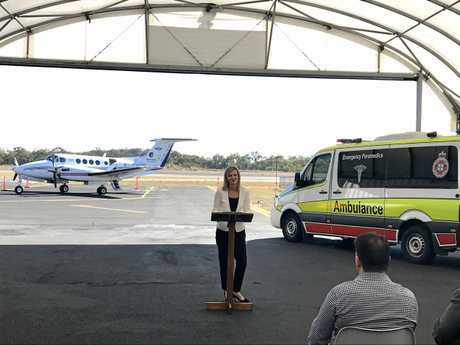 "(The RFDS) now has a dedicated area for their aircraft to park, and a dedicated position for the ambulance to come close to the aircraft," he said. "From today onwards it's the centre for all the RFDS operations at Gladstone Airport." The facility was officially opened yesterday but was used for the first time in a patient transfer trial run last week. RFDS chief executive Meredith Staib praised the generosity of the council, Bechtel and the Gladstone community for making the facility possible. 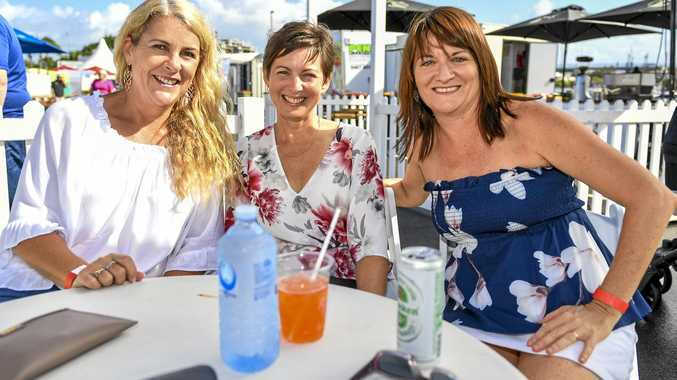 "This new building will help us deliver an even greater level of care to the people of Gladstone and Central Queensland by keeping patients out of the sun in the summer, the cold in the winter and the rain, whenever it may fall," she said.